An operatic retelling of the Nativity story. The story is in the point of view of the Innkeeper (Middleton) and his wife (Connor). The wife is restless, still mourning the death of her baby, and feels something new is coming to the world. Roman soldiers take every room in the inn so when Joseph (Elliott) comes to the door, the Innkeeper and his wife allow them to stay in the stable when they see that Mary is pregnant. -“A Child is Born” was Broadcast live for the first time on the General Electric Theater on Dec. 25, 1955. The show was Broadcast live again the following year on Dec. 23, 1956. The 1955 version starred Victor Jory and Theodore Uppman, as Dismas the thief. In the 1956 version, Victor Jory is not in the play and Harve Presnell plays Dismas the thief. -The score was composed and conducted by Bernard Herrmann. This was Bernard Herrmann’s last project of 1955. -The adaptation of the Nativity story was written by Stephen Vincent Benet and originally was performed on the radio program “Cavalcade of America.” The 1942 performance starred husband-and-wife actors Alfred Lunt and Lynn Fontanne. -This short opera aired on the General Electric Theater, which showcased a story, play or musical every week. The show ran from 1953 to 1962. -Shot like an opera so not really one song. “A Child is Born” is a very solemn television operetta, which consists of more singing than dialogue. This Nativity story is tells of the Innkeeper and his wife. That being said, we do not see the Virgin Mary or baby Jesus. We only see Joseph knocking on the door of the inn and the audience watches the shepherds and wise men come to visit the child through a window of the inn. Shepherds and wise men visiting the Christ child. Metropolitan Opera singer Nadine Conner carries 85 percent of the singing throughout the film. Conner has a lovely voice, but admittedly, it’s a little tiring to hear the same person’s singing voice continuously throughout the piece without any other singers. The Innkeeper, played by Robert Middleton, does not sing, nor do the two servant girls, played by Marian Seldes and Nyra Monsour. Harve Presnell, in only his second film or TV appearance, comes in at the last 10 minutes of the film along with the Roger Wagoner Chorale. Presnell and the Chorale sing beautifully, but I wish their songs had come in earlier to break some monotony. 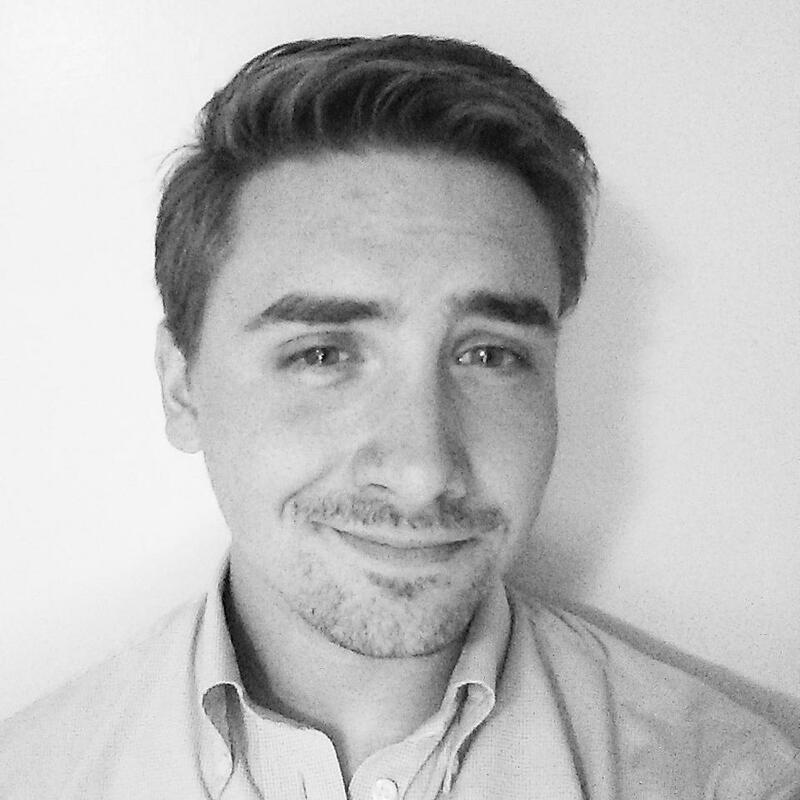 Presnell plays a thief, who is moved not to steal when he sees the Christ Child. Critics and audiences weren’t complimentary of this operetta when it was Broadcast live in 1955. One complaint was that the set never changes and shows only one room of the inn. Audiences also felt that the play wasn’t inspiring as it should have been. Critics also said Herrmann’s music was “not distinguished,” according to Bruce Kimmel’s liner notes for the “Child is Born” album. I’m inclined to agree that I certainly didn’t feel moved by this story of the Nativity, like I thought I would have. I mainly felt tired after the 30 minutes. Part of this had to do with Nadine Conner’s constant singing. Another reason was the two servant girls over acting and shouting. However, I disagree that Herrmann’s music was “not distinguished.” His score was the highlight the brief TV show, and if I felt moved, it was because of his music. It’s curious to me that if “A Child was Born” was unpopular in 1955, why it was Broadcast again in 1956. It proved to be confusing while searching for 1955 version vs. the 1956 version. The only version I could find online was the 1956 version, though many people seem to think there isn’t a difference. However, Victor Jory was in the original cast, and is even billed on the front of the record, and he is not in the version I watched. Film composer Bernard Herrmann is mostly known for a film that he originally disliked. However, those shrieking, staccato violins that played during a rather violent shower scene is may be what he’s best known for. Rehearsal of The Free Company radio drama with conductor Bernard Herrmann. Image dated April 6, 1941. Copyright © 1941 CBS Broadcasting Inc. All Rights Reserved. Credit: CBS Photo Archive. Dorothy Herrmann spoke last weekend during a Bernard Herrmann festival—from April 15 through April 17—in Washington, D.C. The PostClassical Ensemble, Georgetown University, AFI Silver and the National Gallery of Art co-hosted one of few festivals that celebrates the composer’s life and career in film, radio and symphony. Along with myself, fans and Herrmann’s family traveled from Kentucky, New York, Mississippi, North Carolina, California and Pennsylvania, to pay tribute to the composer. During the weekend festival, Herrmann historians and musicologists delved into the composer’s work. Ever wanted to get involved with a documentary or see your name in the credits of a film? Learn more about how you can get “Lives of Bernard Herrmann” closer to completion through their crowdfunding campaign. What would the shower scene of “Psycho” be like without his piercing, staccato strings? 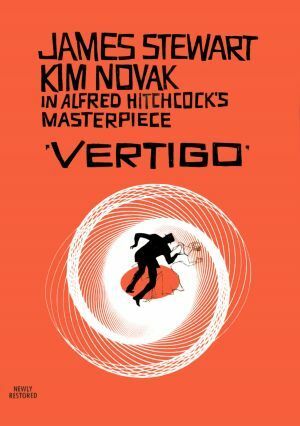 Would the theme from “Vertigo” be as dizzying without those swirling woodwinds? 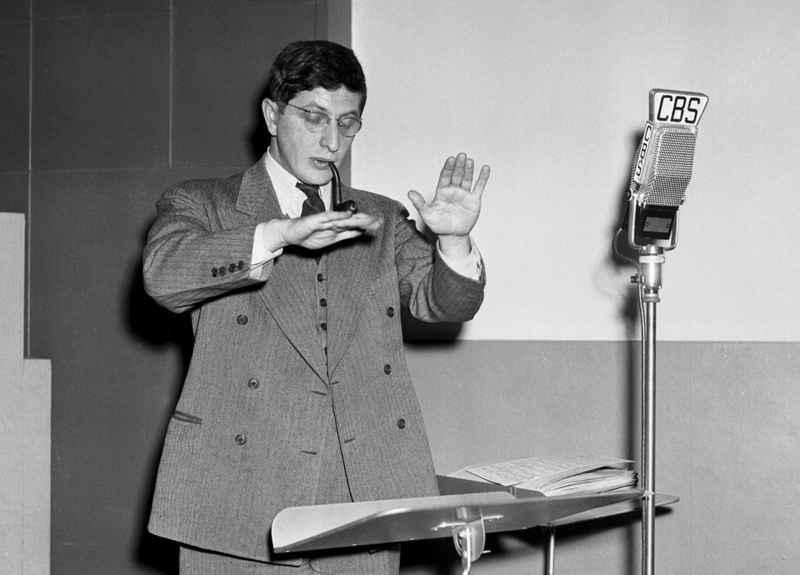 Forty years after his death, composer Bernard Herrmann’s still hasn’t stopped playing. His themes constantly appear in pop culture; whether it’s looped into mainstream music, used in a commercial or reworked into another composer’s score. Examples of these include Quentin Tarantino’s use of the whistling “Twisted Nerve” theme in “Kill Bill,” or the Lady Gaga using a portion of “Vertigo” in her “Born this Way” music video. 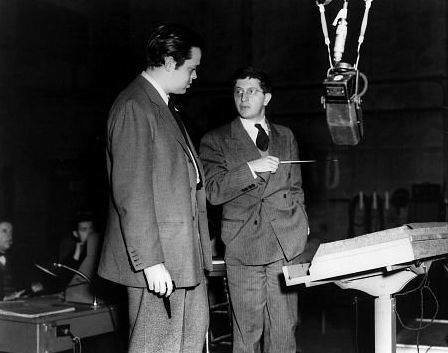 To highlight his work and continuing relevance, New York-based director Brandon Brown is directing a new full-length documentary, “Lives of Bernard Herrmann,” on the composer who worked with Alfred Hitchcock, Orson Welles, Ray Harryhausen and Martin Scorsese. In February, Brown interviewed actor and former co-host of TCM’s “The Essentials” Alec Baldwin, who called Herrmann an equal to all of those artists. COH: What made you decide to make the documentary? What is your goal? BB: The documentary is my dream project; I want to make a film that I would like to watch on Bernard Herrmann. Herrmann was not only an amazing composer but he was also an interesting person. I think his music and story deserve to be more closely examined in a longer film with new interviews. My goal is to introduce people to Herrmann’s music and also sympathize with him not only as a composer, but as a character in the documentary. COH: What inspired the title? When I decided on a title for this film, I had that quote in mind and applied it to Herrmann’s life. To me, a documentary on Bernard Herrmann’s life would in fact need to be a documentary on many lives. It’d be a documentary examining Herrmann’s life before music, his life of composing music, his life as a husband and father, and, finally, how his music has lived on long after his passing. This interview is available through the Film Music Society. COH: When did your love for Bernard Herrmann begin? What started it? BB: It started when I was 12 or 13 after I heard the score from “Vertigo.” Up until that point, I had a general love of soundtracks that started with my love of movies and it evolved from there. John Williams was my favorite composer before Bernard Herrmann. As I got more interested in Herrmann, I learned that Williams was influenced by Herrmann and that he knew him personally. It was interesting to connect my two favorite composers. COH: Do you remember the first time you were introduced to Bernard Herrmann? What was the score and when was it? BB: The first score I ever heard was “The Trouble with Harry,” which was also my first Alfred Hitchcock film. I was six or seven years old. The score that later made me aware of Herrmann was “Vertigo.” I saw how Hitchcock’s direction, the visuals of Robert Burks, the acting of Stewart and Novak and Herrmann’s music all paralleled each other. 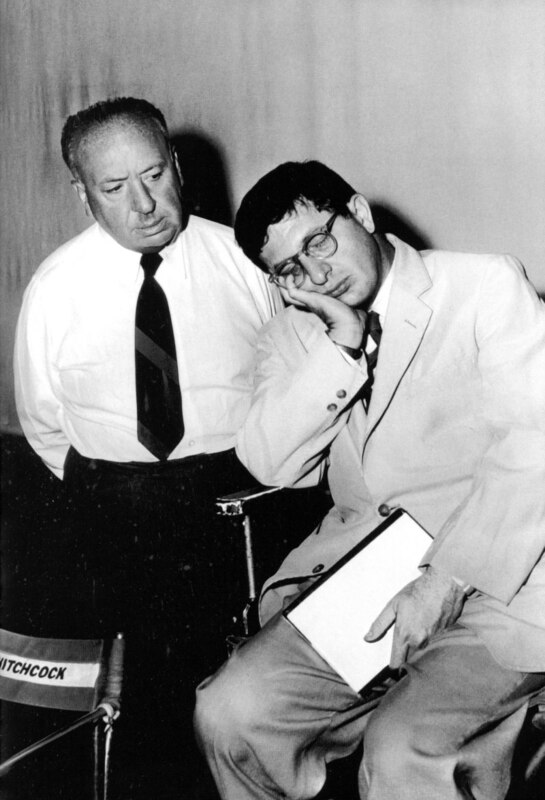 Alfred Hitchcock and Bernard Herrmann. BB: What is your favorite Herrmann score? What makes it memorable? COH: “Obsession” (1976). It’s a genuinely haunting score through his use of organ and strings and how his themes reflect the characters. “Obsession” is really the same story as “Vertigo,” which has more of a romantic score. The score for “Obsession is much more haunting and eerie than “Vertigo,” and Herrmann’s finale makes the film. COH: Though you are still in the early stages, when do you hope for the documentary to be complete? BB: The documentary will include interviews with Herrmann’s family, people he worked with and people who know his music well. Most of these are interviews that haven’t been conducted before on film. We’ll be revealing more information as the interviews are filmed. COH: Why is it important that we remember Bernard Herrmann and his work today? BB: First and foremost, Herrmann wrote some of the greatest music of the 20th century, ranking with any celebrated classical composers. Writing music wasn’t just a job for Herrmann, it was his life. He saw it as an art form and was dedicated to preserving that art form. He demonstrated this by conducting the music of Ives, Ruggles and other great but generally unknown composers. COH: How has Herrmann influenced pop culture, contemporary composers and scores? BB: You hear his music everywhere, whether it is being reused or parodied, people are constantly finding new uses for his music. Try to think of any slasher movie that doesn’t pull inspiration from the shower scene in “Psycho,” or an outer space film that doesn’t use musical techniques from “The Day the Earth Stood Still.” Herrmann’s music was a foundation for horror, thriller and sci-fi film music. You always hear it. Every time you hear the theme from “Jaws,” you will hear traces of Herrmann. COH: What interested you in film making and documentaries? BB: There are plenty of stories to tell about people who made a significant impact in the world. I want to help tell these stories of people who are no longer around or left their mark on history. Composer Bernard Herrmann’s music is constantly sampled in contemporary pop culture; from commercials to spoofs on TV. Several popular music artists have incorporated Herrmann’s music into their songs or music videos. For example, Lady Gaga used part of the “Vertigo” score in her 2011 “Born this Way” music video, which Comet Over Hollywood highlighted in 2013. Another popular artist who sampled Herrmann’s work is American rapper and producer Busta Rhymes. 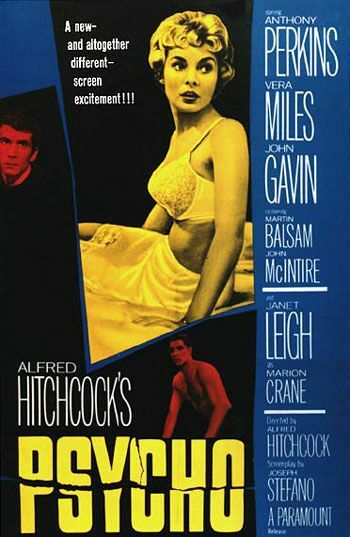 In his 1998 single “Gimme Some More” from the album E.L.E., Rhymes uses a part of the opening sequence from Alfred Hitchcock’s 1960 film “Psycho,” composed by Herrmann. This song reached number one on the U.S. Billboard R&B/Hip Hop charts in 1999. The sample of the opening score is used as throughout the song as the main beat. Love Bernard Herrmann? Our friends are making a documentary about Herrmann called “Lives of Bernard Herrmann.” Check them out on Facebook and Twitter. This is March’s edition of Comet Over Hollywood’s classic film references in music videos. Last March, Kim Novak was up in arms when “The Artist” (2011) used a portion of Bernard Herrmann’s score from the Alfred Hitchcock film “Vertigo” (1958). “Born This Way” was the first single released from the same name album “Born This Way.” Both the video and single debuted in February 2011.